1. How do you know if they perform regular maintenance on the RV? In keeping with industry standards, be sure the tires are no more than 4 years old. 2. Has it been sitting in someone’s backyard for a year or more and now they decided, “Hey, maybe I can make a buck renting my RV out” without ever getting it looked over? 3. Who do you call if you have a question when something goes wrong? 4. Make sure you have proper insurance coverage in case of an accident or damage to the RV. Do not take someone’s word for it. 5. Is there Roadside Assistance? If Roadside Assistance or Tire Service is required, who will be responsible to pay for the call? 6. What if someone rents it out before you and wrecks it? There is no way to get a replacement RV and now all of your campground reservations, park tickets, etc. also have to be canceled. These are just a few items that require attention. 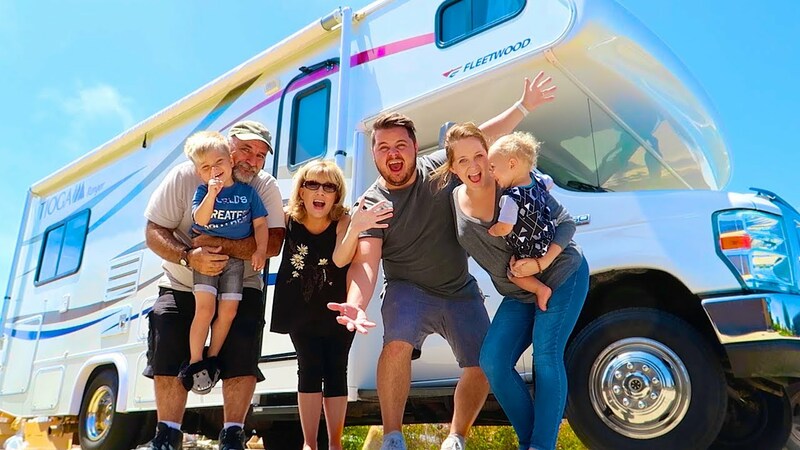 We have heard countless stories and received many panicked phone calls with heartbroken families that went to pick up the RV that they had rented through an individual or service and it was not what they expected or the individual suddenly decided that it could not be rented. While they thought they were saving money going this route, these families would lose all of their deposits for planned stops along the way plus suffer a huge disappointment when a trip of a lifetime goes down the drain at the last minute. 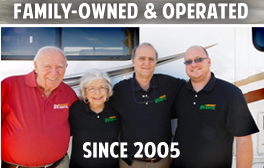 At Suncoast RV Rental, we are family-owned and operated. You are given our cell phone numbers to call should you have questions or problems along the way. We have a tech on call at all times and provide roadside assistance as well as tire service. We do a multi-point inspection prior to departure and our RVs adhere to strict maintenance schedules. We have professionals that clean the RVs so that when you come to pick it up, it is just the way you want it. Do yourself a favor, do your homework, read our reviews, come look at our RVs and have peace of mind before and during your trip that you are dealing with professionals that care about your family and want to ensure that you have the best experience possible.